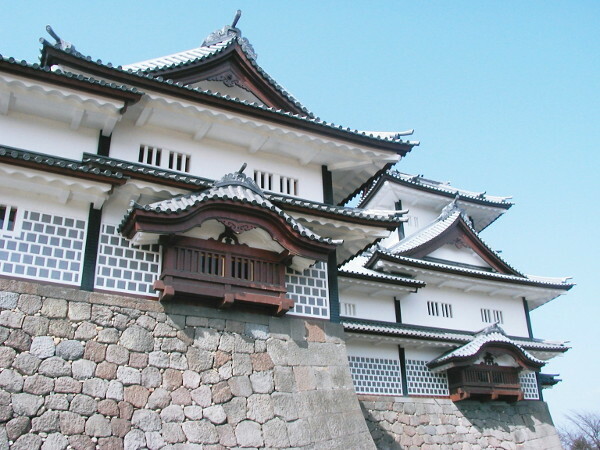 Kanazawa Castle is classified as a hilltop castle (its layout: Teikakushiki), and is located in Ishikawa Prefecture. During the pre-modern age, it found itself within the borders of Kaga Province. 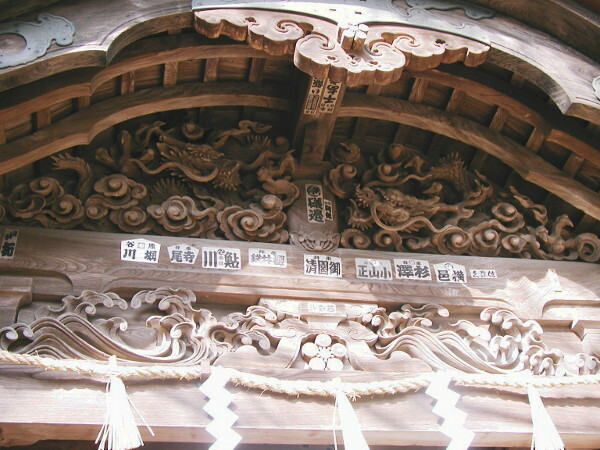 It is associated with the Maeda clan. 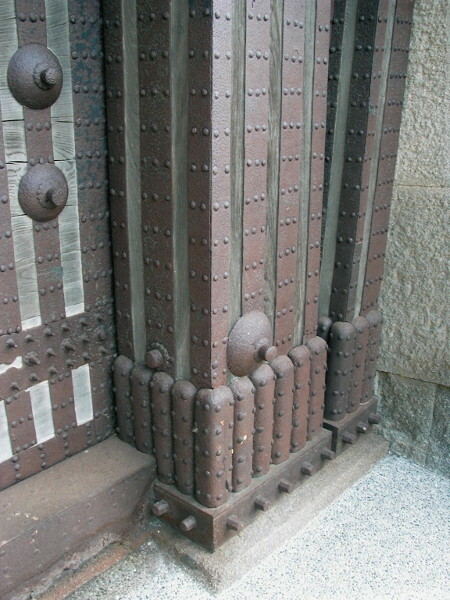 Dates in use: 1580 - 1871. Though Kanazawa castle is a mere shadow of its former self, the remains & recent renovations indicate what an impressive fortress it once was. 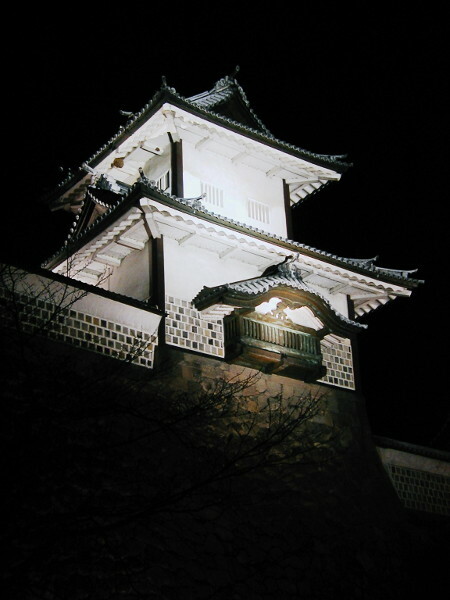 The extant Ishikawa gate is complimented by a pair of Edo period structures & the Gojukken-nagaya with its attached turrets. 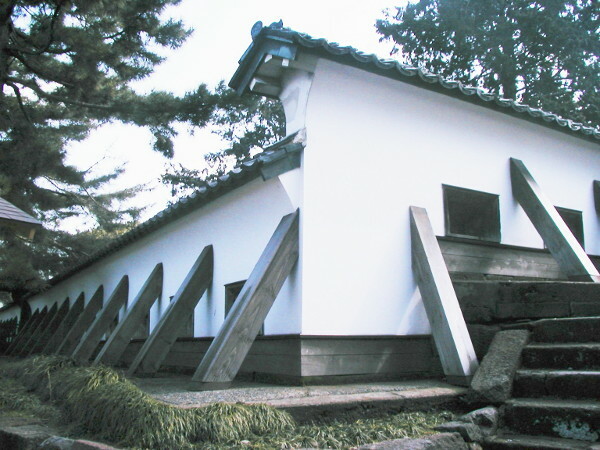 Nearby is the famous garden, the Kenroku-en and the spectacular villa, the Seison-kaku. 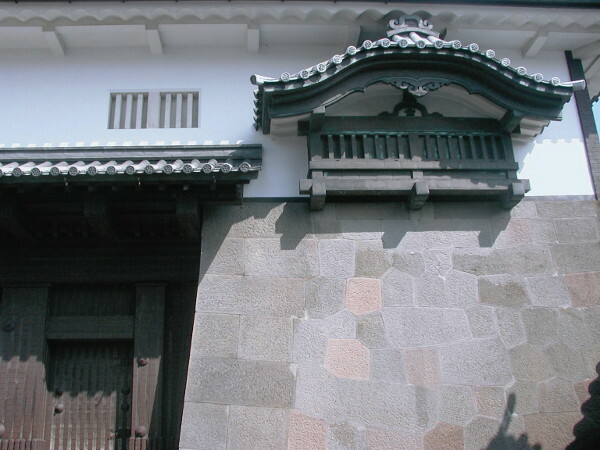 The Ishikawa Gate is actually a complex of structures known in Japanese as Masugata, meaning square (shaped). 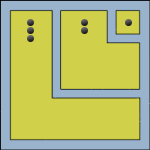 This area allowed for defenders to gather or alternatively, could serve as a rock and a hard place for anyone with malevolent intentions. Interestingly, the roof tiles are made of wood encased in lead sheet. Kanazawa Castle is also noted for the exceptionally wide range of stonework & stone-cutting techniques used in its walls & foundations. 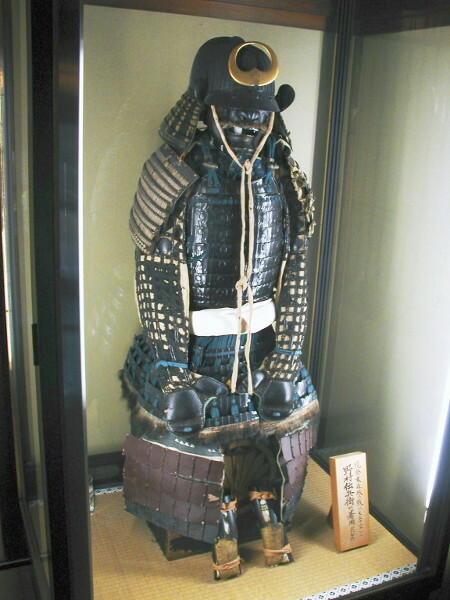 1580 Shibata Katsuie, supported by Maeda Toshiie conquered the region on behalf of Oda Nobunaga. Sakuma Morimasa was transferred here & began construction of the castle at the site of an Ikko sect fortress. 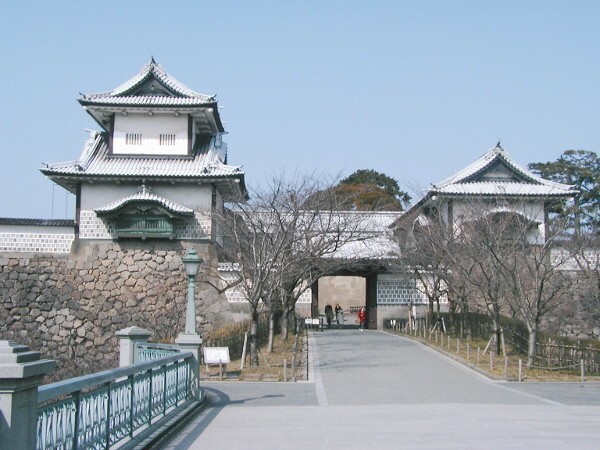 1583 Maeda Toshiie was awarded Kanazawa castle following the battle of Shizugatake in which Sakuma was defeated. 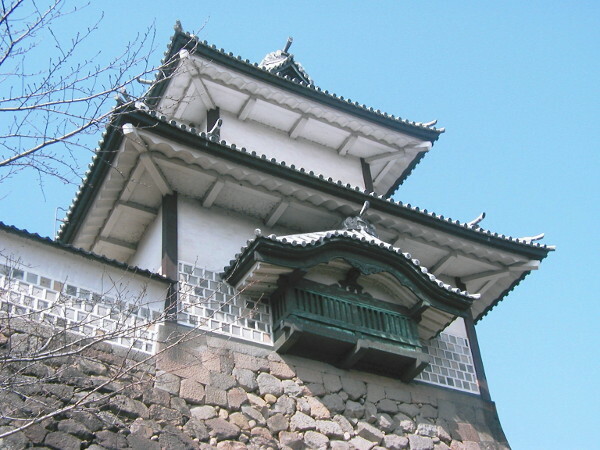 1592 Maeda Toshiie finalized construction of the castle. 1599 The inner moat was completed. 1602 Buildings including the main tower burnt to the ground due to a lightning strike. 1610 The outer moat was completed. 1620 Partially destroyed by fire. 1631 Partially destroyed by fire. 1632 A canal was build through the castle grounds. 1759 Almost completely destroyed by a major fire. 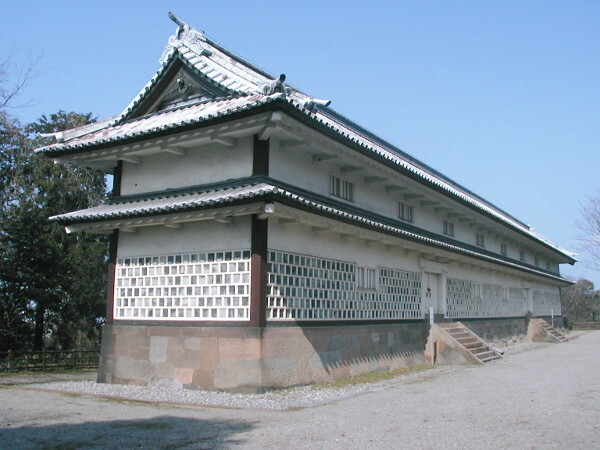 1788 The Ishikawa mon, a surviving Important Cultural Property, was completed. 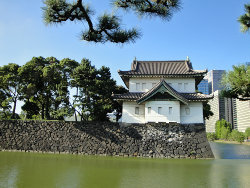 1808 The Ninomaru palace was destroyed in a fire. 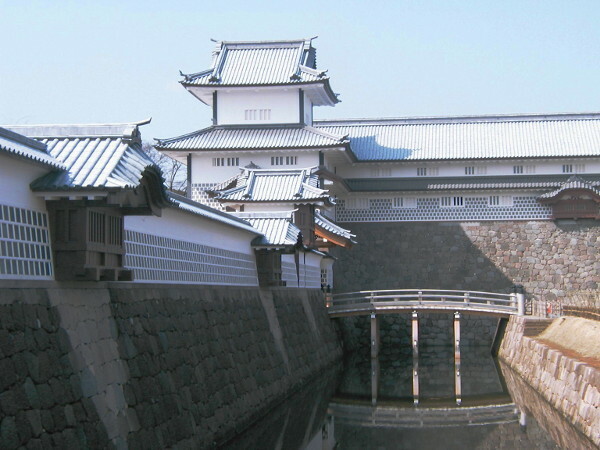 1809 The Hashizume gate & the Hishi turret were completed. 1858 The Sanjukken storehouse was completed. 1881 A large fire destroyed buildings in the Ninomaru, the secondary bailey. 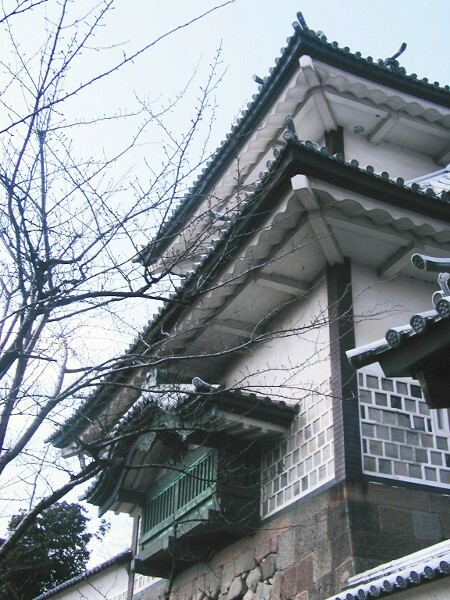 1999 Reconstruction of several buildings including the Hishi turret started & were completed in 2001.